LOS ANGELES (JTA) – Conflict between Arabs and Jews in the Middle East now appears a permanent condition, but it didn’t have to be that way, according to a one-hour PBS special premiering on June 30. “1913: The Seeds of Conflict” traces the relationship between the two Semitic tribes at a time when the Ottoman Empire ruled over what was later designated as Palestine, and then, Israel. The film starts out in 1913, one year before the start of World War I, which led to the defeat of Turkey as an ally of the German and Austro-Hungarian empires and the subsequent British Mandate over Palestine. Though quite valuable as a history lesson, “Seeds of Conflict” will hardly settle arguments on who is “right” or “wrong” in the transformation of the Holy Land over the past century. Given the ideological rifts among both the early Zionists and the present-day Jewish community, it’s likely that rightist supporters of, say, the Zionist Organization of America persuasion will indignantly denounce the film, while leftist adherents of Peace Now will applaud it with equal vigor. The film’s opening scene in Jerusalem presents an almost idyllic scene of a city where Muslims, Christians and Jews shared libations in small cafes and beamed as their children danced together. But a confluence of events darkened the pleasant picture, as the film examines the history in largely chronological order. One incident that, according to veteran writer-director Ben Loeterman (“The People v. Leo Frank,” “The War that Made America”), ignited the smoldering hostilities in 1913 was the theft by a group of Arabs of some grapes from the vineyards of Jewish pioneers in Rehovot. Jewish guards patrolling the area chanced on the scene and viewed the action as a theft from the Jewish people. A subsequent altercation left one Arab and one Jewish guard dead — and aroused intense emotions on both sides. Perhaps, given quieter times, the incident could have been tamped down, but the outbreak of World War I shifted the attention of the Ottoman rulers to more pressing matters, and the emotional wounds of both Arabs and Jews continued to fester. Adding to the changing times and sense of uncertainty was the influx of young Jews fleeing czarist pogroms, who brought with them the socialist ideals of the Second Aliyah. While the preceding pioneers of the First Aliyah in the late 1800s bought land but retained the Arab peasants to till the soil, the new wave of ardent young Jews formed kibbutzim and insisted that all work be done by Jewish labor, thus displacing the Arab farmers. Another point of friction was the changing ethnic makeup of the Jews arriving in Palestine. 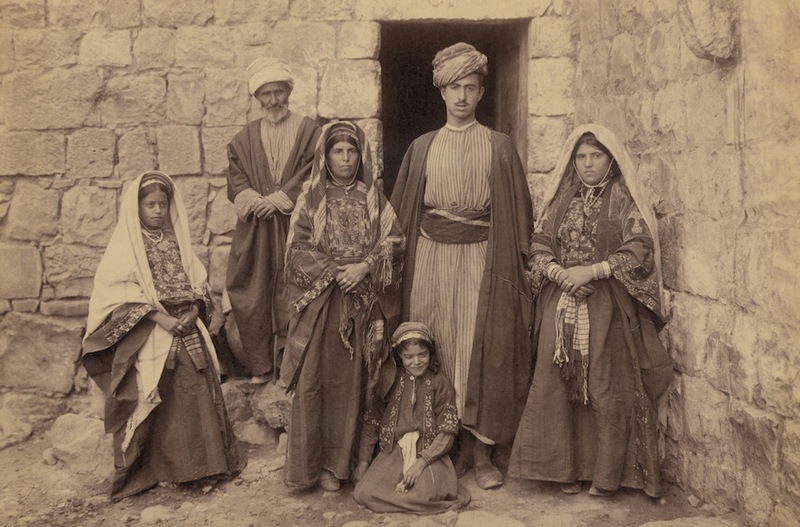 Early on, most had been Sephardic Jews who spoke Arabic and were familiar with Arab culture and mores. The new wave, however, consisted mainly of young Ashkenazim from Eastern Europe, who, according to Arab complaints and newspaper editorials, showed no understanding of the ways of the Arab inhabitants. In the press notes for the film, Dockser-Marcus ruminates on the “ifs” of human history, especially in the Middle East. The film, four years in the making at a cost of $650,000, is studded with remarkable archival photos. In addition to the book, Loeterman drew on a corps of 12 Jewish, Palestinian and American scholars on the Middle East, now mainly teaching at U.S. and Israeli universities. One is Gershon Shafir, raised mainly in Tel Aviv and now professor of sociology at the University of California, San Diego. The author or editor of nine books on the Middle East, Shafir, who previously held a leadership position in the Peace Now movement, also served as president of the international Association for Israel Studies. While acknowledging the role of the specific 1913 events in exacerbating Arab-Jewish tensions, Shafir believes that longer-ranging trends made future conflicts inevitable. “Both the First and Second Aliyah [in the late 19th and early 20th centuries] were national movements, which in any case would have led to conflict,” he said in a phone interview. Many American Jewish viewers — raised on images of bronzed pioneers wresting the land from the desert and a belief in the absolute righteousness of the Zionist cause — may well argue with the film’s narrative and viewpoint. Questioned on that aspect, Loeterman said that the film’s perspective is aligned with current academic scholarship in both Israel and the Diaspora. “Ben [Loeterman’s] film is an exercise in empathy … something sorely lacking today,” Shafir said. PBS will air “1913: Seeds of Conflict” nationwide on June 30 from 9-10 p.m.; times may vary for some stations.